Please do check out details of the events we have held below. There are links to websites and presentations for you to catch up on. “Applying Agile to Analytics and Business Intelligence: What it is like. Why do it. Making it Work”. Agile has been successfully embedded into software development for a number of years now. However, its adoption in the fields of Analytics, Business Intelligence, and Data Warehousing has not been as extensive or successful. Is it because what we do is so different that Agile has no place in our world? Or is it simply due to shortage of information and guidance on how to apply Agile principles and practices to Analytics and BI? ITx is a collaboration of thirteen tech-focused conferences and runs every 2 years. ITx is the premier tech conference in New Zealand and attracts the absolute best innovators, leaders and experts in our sector. Running at the TSB Bank Arena complex, right in the heart of Wellington. Knoware is continuing to run seminars for SAS professionals covering topics that are not covered in other education courses. All seminars are a half day (session). Agile has been successfully embedded into software development for several years now. Its adoption in the fields of Analytics, Business Intelligence (BI) and Data Warehousing (DW) has not been as extensive or successful. Is it because what we do is so different that Agile has no place in our world? Or is it simply due to shortage of information and guidance on how to apply Agile principles and practices to Analytics and BI? If you are looking to improve the way you do Analytics and BI and you want to learn about effective application of Agile principles and practices, the benefits they can bring, and how to begin that journey – then this seminar is for you. It will provide a solid introduction into Agile and practical information on how to apply it to Analytics and BI. 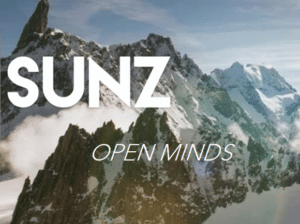 Tuesday, 12 June 2018 – SUNZ was held at Michael Fowler Centre, Wellington. Storytelling is a hot topic at present as many business people feel they aren’t getting easily understandable results from analysts and IT. As analysts we can do it better. What is data storytelling and the key skills required? How can SAS tools help in this area? Lots! Good, professional results can be achieved using SAS Visual Analytics, SAS Add-in to Microsoft Office, Enterprise Guide and with SAS coding. SAS Viya has made big/exciting developments in this area also. This presentation provides practical information to grow your SAS skills for data storytelling. The primary objective of this paper is to introduce what the author considers as an underrated technique in the world of analytics but powerful in identifying good performing companies based on their financial information. The technique is called the Data Envelopment Analysis (DEA model) using Linear Programming method. Knoware has sponsored SUNZ over many years and has made significant contributions to the success and support for SUNZ and the many SAS professionals working in the New Zealand marketplace. The recent Gartner Data and Analytics Summit in Sydney looked at the latest trends and challenges across analytics and BI, information management and business culture. Gartner presented their research and insights to help create “a culture where data and analytics inform and drive business objectives, operational efficiencies and innovation”. The SAS Global Forum was attended this year by Knoware’s Technical Director Colin Harris. The Forum provides the advantage of dozens of workshops, presentations, demos and networking opportunities that will broaden your skills and sharpen your focus. You can exchange ideas with experts and peers, and explore new ways of using SAS. 111 Wakefield Street in Wellington. It was a really great opportunity to talk to your peers, make new contacts and catch up on the latest news. 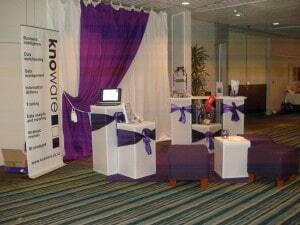 Knoware attended the recent SAS Global Forum. SAS Global Forum is the big annual conference where major SAS announcements are made. This year 5,000 people attended the Las Vegas conference. Many presentations were given – from high-level strategy to detailed programming techniques. The big announcement this year was “SAS Viya”, the new open source, cloud-enabled architecture. • Keynote: The power of the introvert! 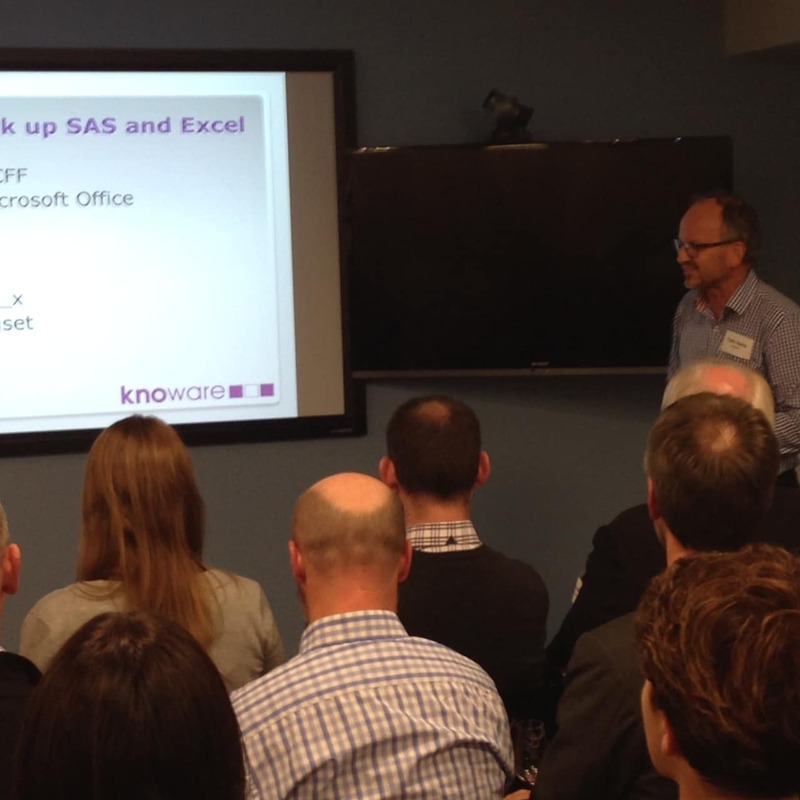 A feedback session was successfully held in Wellington by Knoware and SAS Institute and was attended by over 40 people. Knoware’s Technical Director Colin Harris and Mark Bodt – Senior SAS Consultant gave a summary of the presentations. SAS presented an executive summary of the conference along with an overview of SAS Viya, (the big announcement this year was “SAS Viya”, the new open source, cloud-enabled architecture). The Analytics Forum was held in Wellington on Wednesday 6th April 2016. The theme was “Stories from the Trenches” and the Forum featured 3 key speakers who have first-hand experience in working with data, and ensuring it is used correctly. The following speakers shared their insider view of analytics. Knoware hosted another successful SAS Visual Analytics Special Interest Group (VA-SIG) at SAS’s Wellington premises on Thursday, 10 March 2016. The event was well attended and it was nice to see some familiar faces. We had three presentations: Gavin Knight, NZ Police and Milo Davies, SAS gave verbal presentations; and Milan Horvath, Knoware had a visual presentation. We have uploaded Milan’s presentation and the invitation for the evening. Tuesday 25th August saw the first meeting of the SAS Visual Analytics (VA) special interest group, hosted by Knoware. We had three presentations and lots of good networking. Moving on from the stress of the job and the resulting effects on hair, Gavin Knight, Chief Data Scientist for New Zealand Police, talked about the classification of their users and the definition of their roles. These may change or blur over time, but it’s a good step forward to identifying the roles that people play in information delivery. Another key point was the demo information system delivered to managers, closely tied to the strategic priorities of the organisation – a good move away from the all too common operational silo approach to information delivery. Colin Harris, Technical Director of Knoware, gave some tips and techniques in using Visual Analytics. These were based on commonly expressed user questions, and useful tricks of the trade. A practical paper, attendees came away with some new ideas to try out and some suggestions for future topic areas for the next VA SIG. Milo Davies, Principal Solutions Consultant at SAS completed the presentations with an overview of future advances and changes in VA. VA has come a long way quickly, and it is being further developed rapidly with a 6 month release cadence. Watch this space! The feedback was that this was an excellent event for all attendees. Do come to the next one! Selena Smeaton (Knoware’s intellectual lead for information governance) and Colin Harris (Knoware’s) Technical Director spoke at May’s lunchtime session for IITP (Institute of IT Professionals). The subject of their presentation is directly relevant for all of you working for both corporates and government. “The promise of data has never had so much appeal as it has right now. Industries, organisations and data practitioners continue to debate, argue, deliberate and plot the data path from “insights to value”. Data governance methodologies, frameworks, tools and best practice approaches abound, analytics capability gets top billing at the Board table. Selena and Colin’s talk covers the ‘rules of the game’, what they mean for data governance, and get right down to details on what you actually need to consider at a grassroots solution design level. Here is the link to SUNZ 2015 Wellington, New Zealand organised by SAS New Zealand. An excellent conference was held this year and again Knoware was a key sponsor and speaker at this important conference for all SAS professionals. The conference was also attended by Bill English Deputy Prime Minister who spoke about the importance of data analysis saying “Pragmatic governments need more hard data to serve their ‘customers”. Three Knoware Consultants each gave invited presentations at the 2014 SAS Global Forum in Washington DC, USA attended by thousands of SAS practioners. These are all practical SAS topics with really useful material for hands-on SAS analysts. One session has already been held (thank you Dave Shea) and the remaining two topics will have breakfast sessions scheduled shortly. Knoware has a keen interest in the information management aspects of using Sharepoint as a key EDRMS (electronic document and records management system). This event is the big one for Sharepoint users. There is a lot of information on the “sharethepoint web site” to check out. Many of you will know and have worked with Knoware’s Dave Shea. He’s a senior SAS developer of many years standing: a devotee of PC SAS, who has become an evangelist of SAS Enterprise Guide! Whatever your level of SAS EG expertise. Dave gave a terrific briefing which was enjoyed by the great turnout of people. What are we trying to achieve with Analytics? The 2014 Annual SAS User’s Conference was held on Tuesday 18th February 2014 in Wellington, New Zealand organised by SAS New Zealand. Knoware again sponsored this important conference for all SAS professionals, which was attended by more than 240 SAS professionals. This seminar is the logical extension to our very popular seminars on techniques for getting data out of SAS and into Excel which have been attended by more that 150 SAS analysts. This time we have turned the direction completely around and the focus is on explaining various techniques for “getting data from Excel into SAS” and the pros and cons of each technique. The SAS Global Forum was held in San Fransico on 28 April to 1st May 2013. This is the annual international conference for SAS software and it is big… with over 4,000 people from 30 countries, and multiple special interest streams. Knoware attended and presented at this amazing event to keep at the forefront of the latest developments. Find out more about the SAS Global Forum. Knoware’s Brian Bee was a guest presenter at the conference on the subject of “A Day in the Life of Data”. Brian will be well known to many of you as our very experienced SAS training consultant. Due to popular demand we re-ran last months seminar presented by Colin Harris. If you would like to arrange for an special in-house briefing for your organisation, then please contact Colin Harris or Clare Somerville on info@knoware.co.nz or phone 04 499 9246. Enterprise Data World (run by Dama) the business worlds most comprehensive educational event covering data and information management. http://edw2012.dataversity.net/ Selena presented on “Data Lifecycle Management”. This was a repeat of their very successful presentation at the recent International Council of Archives Congress held in Brisbane, Australia, (see below). Knoware’s Trish O’Kane and Selena Smeaton, together with Lisa Austin of NZ Archives, Department of Internal Affairs presented on the topic “High Value Public Sector information – A model to prioritise sustainability programmes”. The congress is held every 4 years and showcases leadership in archives and records management. Robert Noe represented Knoware as an attendee at this conference. The conference had an interesting range of marketing practioners who talked about their approaches, solutions and challenges in target marketing using analytics. As part of the Declaration on open and transparent government the New Zealand Government has recently approved the “Principles for Managing Data and Information held by NZ Government”. These principles are all about making data open and accessible to the public, and commit agencies to actively release high value public data. The concept is to share government data and information, so that new uses can be made of them. Examples include large data sets held by GNS, LINZ and MED that could be combined to open up use of mineral assets. Scope – where could Open Data begin and end? Does this initiative include documents and other information objects that are not normally in the public domain until transferred to Archives New Zealand? Is the data ready for sharing? Is it trustworthy and in the public domain? Does this conflict with only using data in accordance with the purpose for which it was captured? What about the risks of sharing information that could identify individuals? What do you have to do to get ready for Open Data? Knoware’s Selena Smeaton presented a paper at the DAMA Data World International Conference on Data Lifecycle Management. http://archives.govt.nz/advice/government-digital-archive-programme/future-perfect-2012-digital-preservation-design/future-0 Trish O’Kane and Clare Somerville jointly addressed key concepts for record keepers relating to data, databases and data warehouses. They also talked about good practice in data management and how to connect it up to recordkeeping metadata. Recordkeepers, used to a document-centric view of records, may struggle to think of how to apply recordkeeping concepts to data. Talk of “preserving databases” and even “transferring databases” just doesn’t cut it in the data world. The picture is often much bigger than individual databases. Clare Somerville – Managing Director attended the Gartner Conference held in Sydney in February 2012. A regular attendee, Clare said the subject areas covered by this year’s conference are very relevant to the challenges being faced by NZ organisations working to effectively manage their enterprise information systems. Hot topics included: Agile BI, Predictive Analytics Collaborative Decision Making, Master Data Management, Consumerisation and the Future of BI. Having briefed Knoware’s team of consultants, Clare is available to provide briefing and can be contacted by email clare.somerville@knoware.co.nz see the Contact Us page for more options. Knoware is a principal sponsor for the SAS Users Conference held again in Wellington this year, and Knoware’s Dave Shea, Todd Nicholson and Clare Somerville delivered presentations. “Attendance numbers at this year’s event was fantastic, and all the people I talked with found it very worthwhile” said Clare Somerville. Please contact us if you would like copies of any of Knoware’s papers.